He is a partner at the respected boutique business law firm of Rose, Persiko, Rakowsky, Melvin LLP in Toronto. Prior to joining RPRM LLP, Dan advanced his legal skills within the Corporate Law group of one of Canada’s most prestigious national business law firms. “Time is money” is such a well known expression because its true. In today’s challenging environments, business agility is synonymous with success. Dan provides industry specific, strategic, legal business advice to his clients in an expedient but prudent fashion that enables them to avoid conflicts and expensive litigation, meet business objectives and capitalize on opportunities to maximize growth and profit. 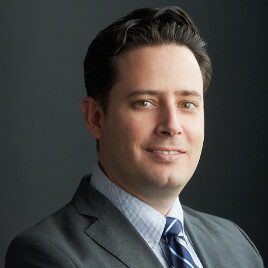 Dan has coined the title “Your External In-House Counsel” which speaks to his trusted level of legal advice and advocacy as well as his approachability and availability to take on any business related legal problem and work towards the best possible solution to help facilitate the growth and success of your business. From established privately held businesses to publicly traded corporations to new, start-up entrepreneurial enterprises, Mr. Bank brings his significant business law experience to every legal matter to deliver results and peace of mind for his clients. If you feel your business or entrepreneurial endeavor could benefit from an experienced business law lawyer and having your own “External In-House Counsel” feel free to call Dan Bank today at 416-882-5731.